Former pastry chef, food photographer, stylist, cookbook author… Alanna Taylor-Tobin has an impressive resume, to say the least. 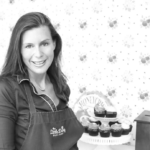 Her gorgeous and successful blog, The Bojon Gourmet, is home to tantalizing recipes, many of which are vegetarian, gluten-free, and some even vegan. Her first book, Alternative Baker: Reinventing Dessert with Gluten-Free Grains and Flours, is ripe with dishes that utilize unconventional yet utterly delicious ingredients. With the busy holiday season just around the corner, I am in full baking mode. My current go-to: this easy and delicious pumpkin-cranberry loaf. It’s a total crowd-pleaser and full of warm, fall flavors. Read on for the full recipe and the cutting board I recommend serving it on. This loaf was inspired by the Adventure Bread made at Josey Baker’s The Mill in San Francisco, home of the infamous four-dollar toast. His adventure bread is packed with nuts, seeds and oats, held together by psyllium husk, chia seeds and flaxseeds, moistened with water, vegetable oil and maple syrup. Once you’ve sourced the ingredients (available in bulk at most health food stores), the bread is incredibly simple to mix up and bake. A loaf keeps, refrigerated, for up to 2 weeks. At first glance, the recipe seems impossible, as though it shouldn’t work; but mix it all up, let it rest for a few hours, and bake it and you’ll soon find yourself as hooked as I am. I’ve updated Baker’s loaf with the fall flavors of pumpkin, cranberries, walnuts and pepitas, and a hint of warming spices. Slices are heavenly when toasted and spread with whipped cream cheese, but the bread isn’t so sweet that you couldn’t use it to make toasted cheese sandwiches or to wrap around slices of leftover Thanksgiving turkey. Position a rack in the center of the oven and preheat to 325ºF (165ºC). Spread the walnuts and pumpkin seeds on a small, rimmed baking sheet and toast until golden and fragrant, shuffling the pan occasionally, 10–15 minutes. Remove from the oven. Meanwhile, in a large bowl, stir together the oats, cranberries, flaxseeds, psyllium husks, chia seeds, salt, cinnamon and nutmeg to combine. Stir in the hot walnuts and pumpkin seeds. Add the pumpkin puree, water, maple syrup and sunflower oil and stir well with a sturdy wooden spoon or your hands to make sure the “dough” is moistened through and evenly distributed. Line a 9 by 5–inch (23 by 13–cm) loaf pan on all sides with parchment paper and scrape the dough into the prepared pan, packing it in and rounding it slightly on top; it won’t rise in the oven. Cover tightly with a piece of plastic wrap and let sit at room temperature for 2–8 hours. When ready to bake, preheat the oven to 400ºF (200ºC). Bake the loaf for 1 hour and 15 minutes; it will be deeply bronzed on top and feel firm to the touch. Let cool completely, at least 2 hours. The bread is best sliced fairly thinly and toasted well. It will keep, refrigerated airtight, for up to 2 weeks. 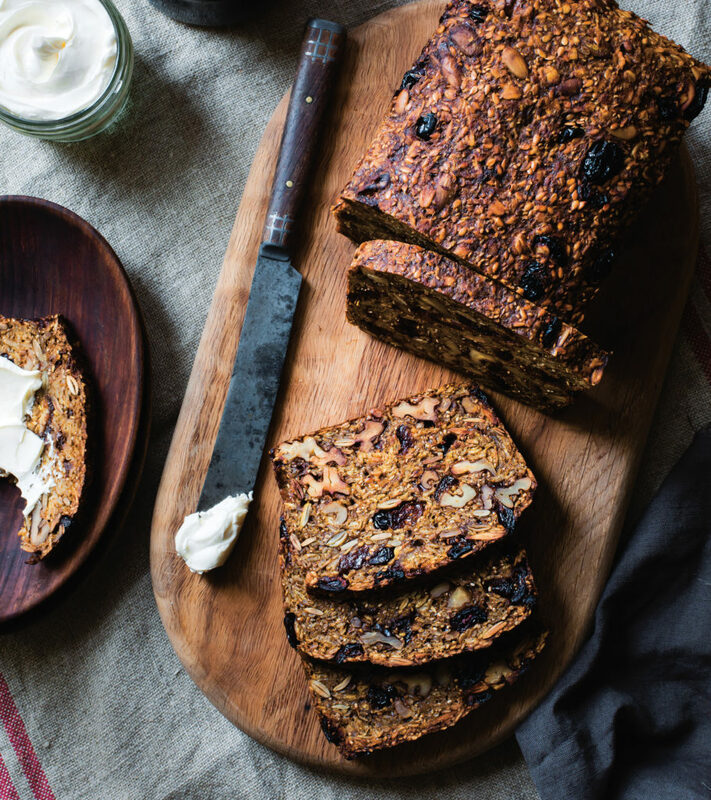 This hearty loaf is best served on an equally rustic piece of tableware such as Sur La Table’s Italian Olivewood Slice Serving Board. The company’s selection of premium kitchen and tableware products are unbeatable, and look gorgeous on display. 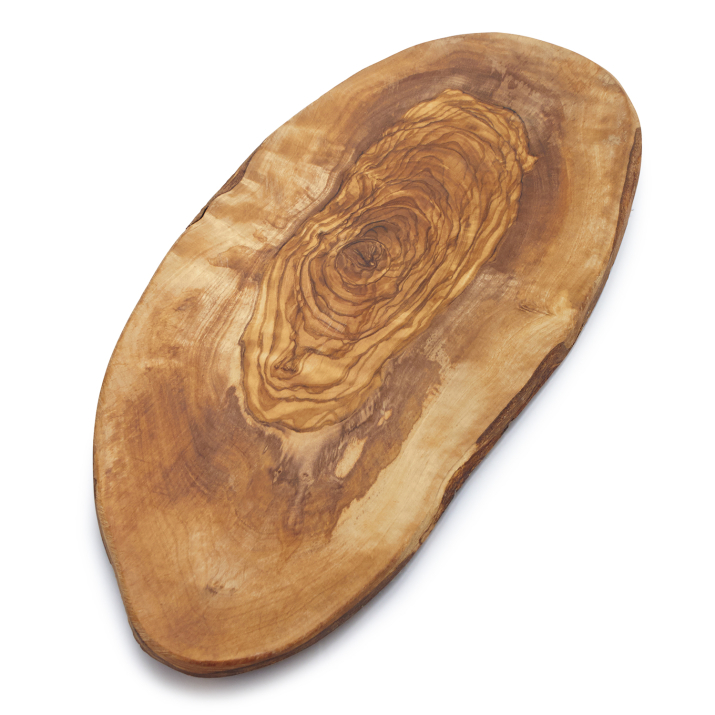 Place this cutting board in the center of your dining room table and let guests cut themselves a thick slice, or keep it tucked away in the kitchen so that you can keep more of the loaf to yourself (Iwon’t tell, I promise!). 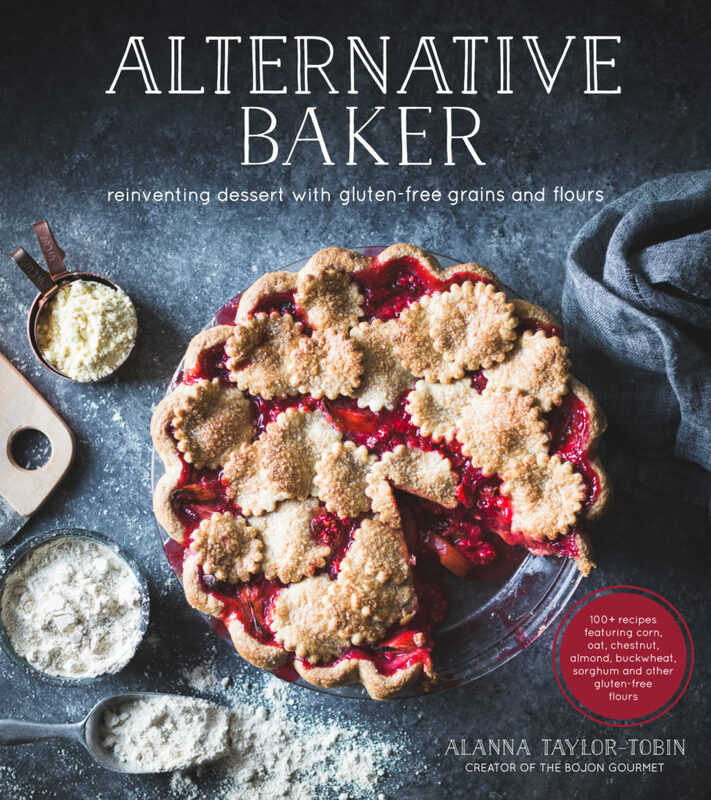 Recipes from Alternative Baker by Alanna Taylor-Tobin, Page Street Publishing Co., 2016. Images courtesy of Alanna Taylor-Tobin.